UNAIDS has released a new policy brief to help countries make intellectual property rights work for them, amid growing concern that an impending free trade agreement between the European Union (EU) and India could threaten the world’s supply of generic antiretroviral (ARV) drugs. The World Trade Organization’s Trade Related Aspects of Intellectual Property Rights (TRIPS) allows countries to override patents – for public health purposes – by issuing “compulsory licenses” that enable the generic manufacture of drugs still under patent. 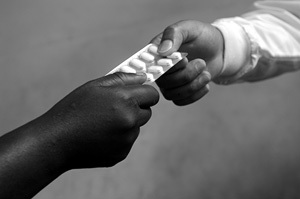 The UNAIDS paper – co-authored by UNAIDS, WHO and the United Nations Development Programme (UNDP) – aims to help countries improve their access to generic ARVs by using TRIPS. It also provides successful case studies from countries like Thailand, Brazil and Rwanda, which have used TRIPS to negotiate lower ARV prices, and recommends that governments adapt their national legislative frameworks and develop a domestic pharmaceutical production capability.